The Assessor’s primary objective is to ensure that all taxable property located within a town is assessed in accordance with applicable law so that every property owner shares an appropriate share of the total property tax burden. To accomplish this objective, the assessor must discover, list and equitably value all property within their jurisdictions. In addition, the assessor is responsible for reviewing and approving various forms of property tax relief and land classification, maintaining current data for each type of property as well as submitting reports to the State of Connecticut’s Office of Policy & Management, duties are performed in accordance to CT general statues following a calendar of state administered deadlines. For answers to Frequently Asked Questions about the Assessor’s Office, click here. 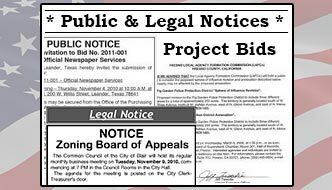 The Board of Assessment Appeals for the Town of Sterling will meet on one or more dates during the month of March for the purpose of hearing appeals for the assessments of real and personal property. March hearings are by appointment. Applications for hearing are available in the Assessor’s office and under the Forms section of this website. Applications must be returned to the Assessor’s office between February 1, 2019 and February 20, 2019. Applicants will receive notice of the time and date of their appointment by mail. The Board of Assessment Appeals will also meet during the month of September for the purpose of hearing motor vehicle appeals. Notice of the date and time of the meeting will be published prior to the hearing date. Selling Your Car? Click here for information and the steps you need to take if you are selling your car. Keeping Your Car but Returning the Plates? Click here for information regarding the assessment of unregistered motor vehicles. GIS Online Print field cards directly from GIS. Cards current through date shown on opening screen. Online Property Records This is this link to the online property records database updated through 11/22/2017. Call for current information. Tax Maps This is the link to PDFs of the tax maps. Homeowner’s Tax Credit Program for 2018 Applications accepted in person from 2/1/2019 – 5/15/2019, by mail from 2/1/2019 – 3/15/2019. For more information click here. Renters’ Rebate Program Applications accepted in person from 4/1/2019 – 10/1/2019. For more information click here. Veterans Resources Click here for more information on services or scroll down for PDF forms. Tax Appeals Click here for BAA forms.